Reserving directly with us at Garza Blanca Resort & Spa for your next vacations brings you many benefits. When you speak to our fully-trained travel specialists, you will receive the best advice for your stay. When you book your vacation at Garza Blanca Resort & Spa reserving directly through our contact center, you will ALWAYS receive the best offers available. If you find a cheaper deal elsewhere, we will be sure to match that price. In order to be eligible for a price match, you must provide a copy of the official quotation you were given for the exact same stay. Reserve your hotel accommodation and flights all at the same time while you enjoy the best prices guaranteed found for you by our helpful onsite travel specialists. You can be sure of the most convenient flights at the best prices for you and your travel companions. Reserving your vacation directly at Garza Blanca Resort & Spa means that you can take advantage of exclusive benefits which include options such as early check-in and late check-out, a complimentary bottle of wine in your room, resort credits, spa services, airport transfers, a romantic meal for two and excursions amongst other benefits. 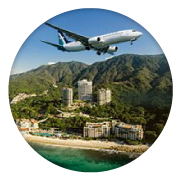 Our travel specialists can talk you through all of your options and explain the advantages of joining our TAFER Rewards program which brings even more advantages. You can avoid any extra hidden commissions and costs when you reserve directly with the resort and be sure of total transparency, benefiting from the best prices with no hidden extras. 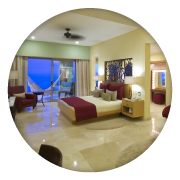 When you deal directly with the hotel you don’t have to navigate the middleman and you receive clear and immediate confirmation of your reservation with all the details of your vacation from a fully trained travel specialist. You can be sure to obtain all the correct information about the hotel and your stay with no misleading particulars and great response times.